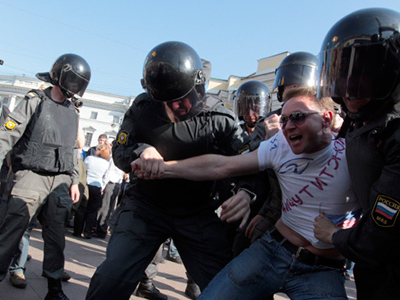 Opposition activists from the Strategy 31 movement, who regularly stage rallies in Moscow and other cities in support of the freedom of assembly, are changing the format of their gatherings. ­The next one will take place in the form of a sit-in strike. “Protestors will be seated on the ground, interlocking their arms to form a chain. This will be their civil chain. Ideally, they’ll manage to form several rows,” The Other Russia, one of the forces comprising the movement, said in a press release. As explained in the statement, they decided to hold a sit-in strike because all their previous rallies have been dispersed by police. “Law-enforcement bodies have achieved perfection in their skills of repression,” the press release reads. 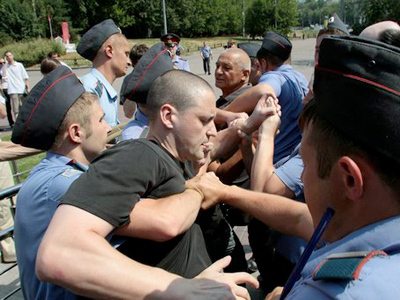 The Other Russia is viewed as an extremist right-wing movement which was refused registration by the authorities. It is lead by the controversial nationalist leader Edouard Limonov. He was one of the main ideologists of the so-called Strategy 31, a series of rallies in the capital and across Russia held on the 31st of every month which has 31 days. They are designed to draw attention to human rights issues and the constitutional right to freedom of peaceful assembly guaranteed by Article 31 of the Constitution. Strategy 31 is very heterogeneous, and from the start there have been divisions which their members found hard to overcome. The first actions took place in 2009 and never managed to get the go-ahead from the authorities, either in Moscow or in other cities. 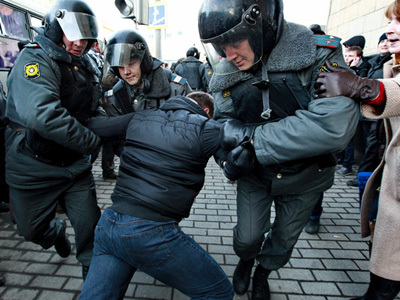 Till the end of 2010, all their gatherings were dispersed by the police. By that time the conflict between Edouard Limonov and Lyudmila Alekseeva, human rights activist and head of the Memorial center who had joined the movement earlier, reached its climax. She stated that they had too many ideological differences and could not continue their course together. 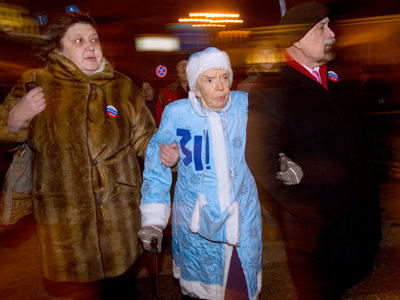 She also preferred to seek compromise with the Moscow authorities who finally sanctioned a gathering on Moscow’s central Triumfalnaya Square, provided that the number of participants should not exceed 1500 (the opposition’s request was for 3000). 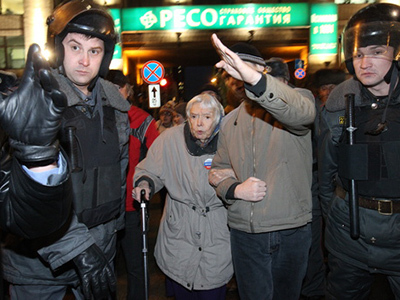 Lyudmila Alekseeva and her supporters have held several authorized rallies on the Triumphalnaya Square while activists of The Other Russia have staged alternative ones, all subsequently broken up by the police. Alekseeva has not yet commented on the new initiative by The Other Russia.